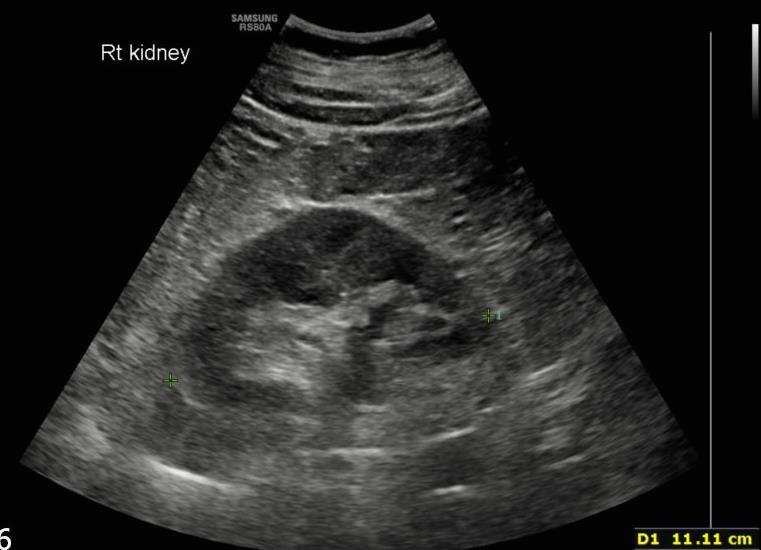 A 51-year-old male patient was referred for an abdominal ultrasound to investigate ongoing lower urinary tract symptoms, constipation and bloating. 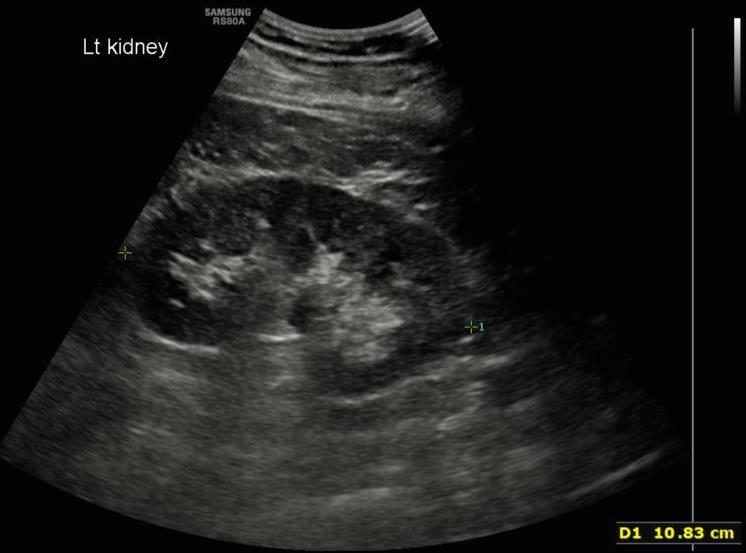 Representative sonographic images of the renal system are shown below. Fig 3. 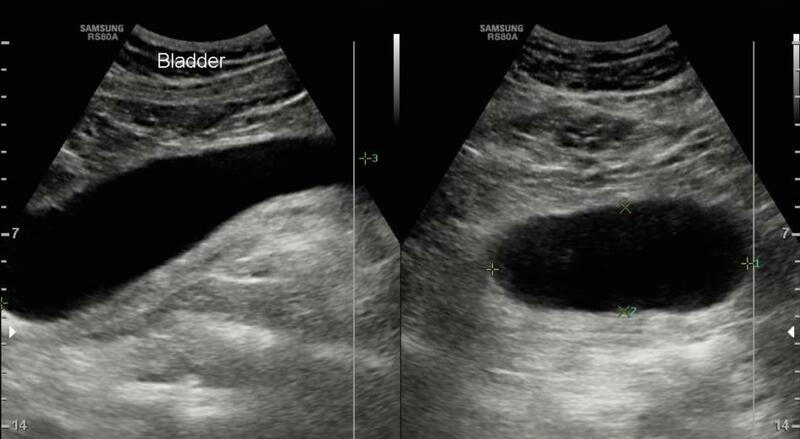 Representative images of the bladder in (a) longitudinal and (b) transverse views. Fig 4. Post micturition views of the bladder in (a) longitudinal and (b) transverse views. Fig 5. A sagittal CT image demonstrating a contrast-filled urinary bladder.